A slouchy version of my Tylluan Hat!! 6 large cabled owls peak out at you from around this hat. Instructions are written and charted with note on bead or button placement. Place beads or buttons as desired. All or none its up to you! An adult small fits most adults. 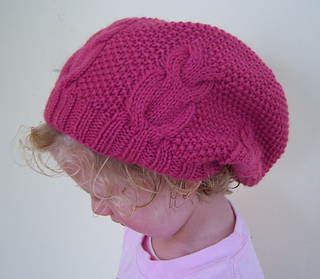 A large is provided for fine tuning if you choose to use a weight yarn or have gauge issues.